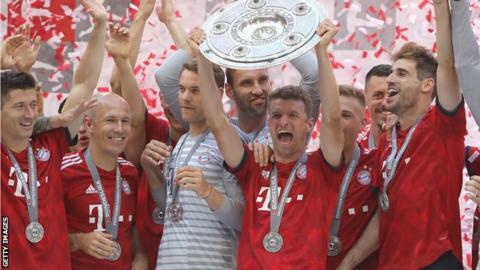 German football's top flight will "never" hold matches abroad because to do so would show a "lack of respect", says the Bundesliga's chief executive. Christian Seifert described plans such as La Liga's for matches in the United States as "a line we will not cross". La Liga is yet to confirm details of its first game in the US, but reports say Miami is to host Girona's 27 January home tie with Barcelona. Spain's players' union has already stated its opposition to the plans. "In my opinion it would be a lack of respect to the fans and the players to take an official championship match abroad, when it involves points that will ultimately decide on promotion, relegation or participation in international competition," Seifert added. Reports in Spain on Tuesday said Girona would offer 1,500 free flights to Miami for season ticket holders wishing to travel the 7,500km to Florida, around nine and a half hours by plane. According to Diari de Girona, supporters who decide against making the journey could claim a free ticket for the reverse fixture at the Nou Camp on 23 September, plus at least a 20% return on the cost of their season ticket. Sport reported that Girona could earn as much as 4m euros (£3.6m) from the proposed fixture at the Hard Rock Stadium. La Liga's plans to hold games in the US is part of a 15-year partnership with media company Relevent Sports, which organises the International Champions Cup, to promote football in North America. The Premier League has previously discussed plans to play a '39th game' outside England and Wales. The idea drew criticism from fans and the media, and executive chairman Richard Scudamore, who proposed the idea in 2008, said it could not happen "until the conditions are right".